On the trail or not, the governor uses the power of the incumbency to control the message. Meanwhile, his rivals look for other ways to muscle into contention. Incumbent Paul LePage has been the most aggressive campaigner in this year’s three-way race for governor and he hasn’t even hit the campaign trail. The governor has taken things a step further by enlisting his department heads – from health and human services to labor to education – to hit the airwaves and write newspaper columns in support of the governor’s policies, even in the face of criticism. On the same day the Legislature’s oversight committee ordered an investigation into her department’s troubled child day care division, DHHS Commissioner Mary Mayhew was on the radio cautioning against expanding Medicaid, also known as MaineCare. A day earlier, the governor had a half-dozen Cabinet members testify about how expanding MaineCare would hurt their departments. They hammered home one of LePage’s biggest campaign messages and the governor wasn’t even in the room. The 2014 race for governor is fully underway. Those challengers – Democrat Mike Michaud, a six-term congressman from Maine’s 2nd District, and Eliot Cutler, an independent who lost narrowly to LePage in the 2010 election – have been largely forced to react. Michaud, like LePage, has the advantage of holding an elective office that can keep him in the news, although the workings of Congress do not always have practical applications for Maine voters. Michaud’s campaign has been relatively quiet – the release of a major economic plan last month was his first policy salvo – but it has raised the most money and has been successful in courting endorsements from progressive groups that hold sway with members. Cutler, on the other hand, has been campaigning as though the election were weeks away. In the span of less than 10 days last month, he was in Bangor talking to the women’s forum of the local chamber of commerce, in Bar Harbor touring The Jackson Laboratory, one of the region’s biggest employers, and then back in Kittery, the state’s southernmost point, hosting a casual evening meet-and-greet. Cutler’s strategy is not only a sharp contrast with that of his opponents – it is also a political necessity. He doesn’t have a ready-made platform. While the fight for message rages across front pages and on television screens, behind the scenes all three campaigns are feverishly raising money and recruiting the volunteers needed for effective field operations. Michaud’s campaign headquarters on Commercial Street in Portland is like the campaign itself at this stage: tidy. The main office is wide open and has desks set up for volunteers, with three separate offices for higher-ranking staff. 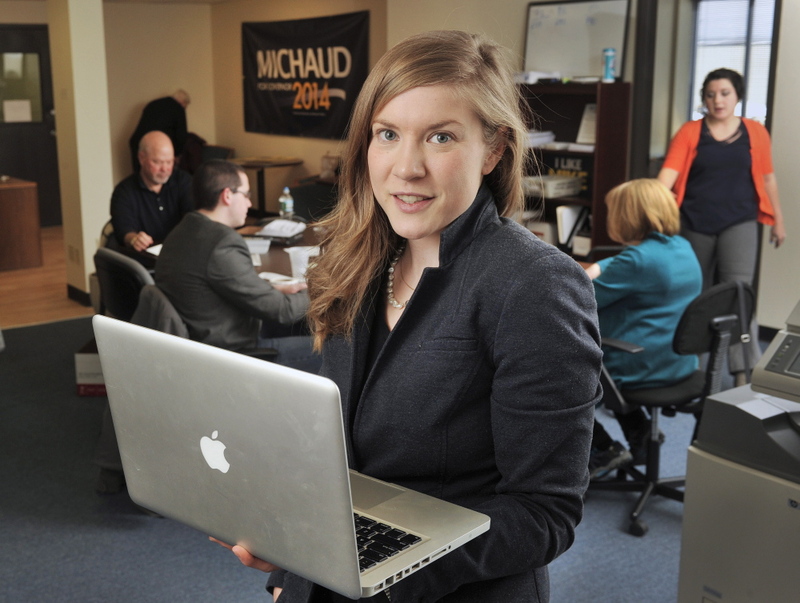 The only real sign that it’s a campaign office is a Michaud 2014 banner near the entrance. Cutler’s Portland office, on Milk Street in the Old Port, is similar. Volunteers spend time stuffing envelopes and answering phones in the main area, while paid staff occupy separate offices where whiteboards hint at talking points and strategy. LePage’s campaign doesn’t have an office yet. The number for the campaign, according to campaign finance reports, is 287-3531, which rings at the State House. Brent Littlefield, LePage’s senior campaign adviser, said the governor is more focused on governing than running for reelection at the moment, but the campaign machine is still actively fundraising and organizing volunteers. Michaud has the early lead in the money race. As of Dec. 31, the Democrat had raised about $1 million and spent just under $400,000. Cutler had raised $945,000 – which included $250,000 loaned from the candidate – and spent more than $650,000. LePage has raised the least – about $720,000 – but has spent the least as well, only about $150,000. Dutson called fundraising the “great equalizer.” He said the temptation exists for the campaigns to hold on to their money since there are no primaries and save it for expensive advertising later on when more people are paying attention. But spending now can affect future fundraising. “It’s a sign that a campaign is in motion,” Dutson said. Just as important as money, but less visible, is building a strong field operation. Dutson agreed that the field operation is crucial, especially in close races. “In the legislative races (in 2012) Republicans got pummeled by absentee ballots and strong field operations by the Democrats,” he said. The Maine Democratic Party plans to use that same strong field game this time. It has more than 20 paid staff members canvassing the state already. The Maine Republican Party will try to match that strategy, particularly with its new effort called #GEN207 to attract younger voters. While the two major parties work hard to help elect their candidates, Cutler does not have that built-in operational support. His campaign spokeswoman, Crystal Canney, acknowledged as much but said it has advantages, too. “It’s a huge freedom not to be tied to a political party,” she said. The Cutler campaign also took a hit about a month ago when its field director, Brandon Maheu, abruptly resigned. Canney said the campaign still has two full-time field operators, two paid interns, a number of volunteers and a part-time field expert who will join the campaign full time when the legislative session ends. Cutler did not have a strong field operation in 2010. If he had, some say that could have put him over the edge. LePage has set the tone for the campaign by talking often about the economy and, more specifically, about Medicaid expansion and welfare abuse. He has laid claim to those issues. Whether he softens his tone on the campaign trail remains to be seen, but he’s likely energizing his Republican base. 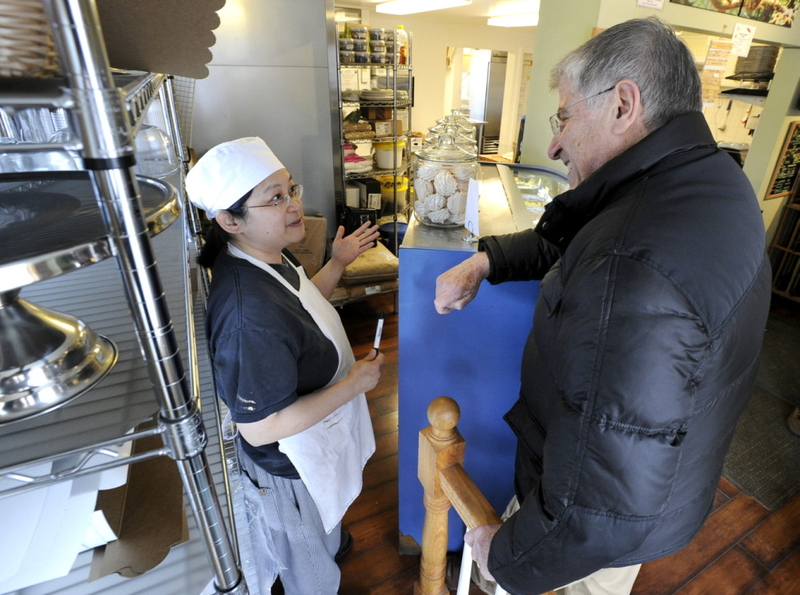 Michaud recently rolled out a 33-page blueprint for Maine’s economy that he says will put the state on a strong path going forward. The plan featured a number of specific ideas, including offering University of Maine System students a free sophomore year of tuition, but both LePage and Cutler have said that all Michaud’s plan does is increase spending. Still, Cutler has to fight harder to be heard. As Michaud has gobbled up early endorsements from traditional progressive groups, such as EqualityMaine and the League of Conservation Voters, Cutler has gone on the offensive by saying he was never given a fair chance to earn those endorsements. Cuzzi said those endorsements have built momentum for Michaud, but he cautioned that it could create the dynamic that Michaud is beholden to liberal special interests. “I think left to his own devices, (Michaud) is more independent, but how much will he be willing to move to the middle?” Cuzzi said. Cutler also has been pushing Michaud and LePage to debate. He has the most to gain by drawing contrasts between himself and the major party candidates. But LePage and Michaud have more to lose and will almost certainly delay debates as long as possible, Cuzzi and Dutson agreed. 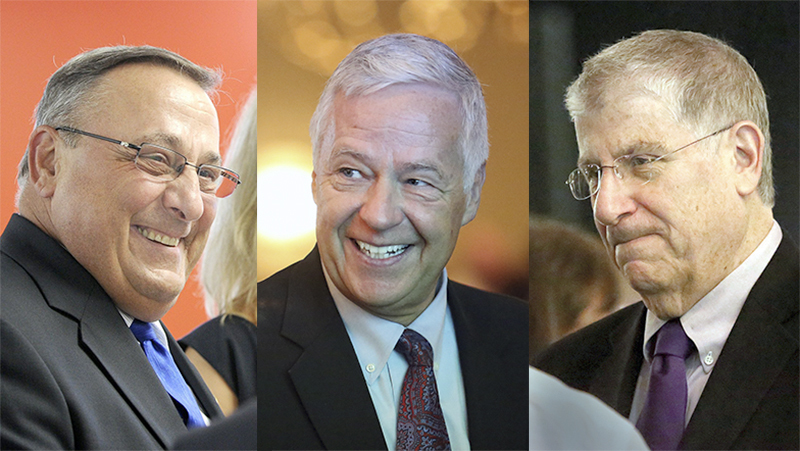 Although the incumbent governor has had a polarizing influence, often generating passionate support or opposition, Dutson contends that Michaud and Cutler are going to need to do more than persuade voters to reject LePage. He also foresees a race in which the battle to control messages about policies evolves into a more personal decision. “When you have a third candidate in the middle of two opposites, that’s when voters start to look at personality,” Dutson said.